A while ago, I wrote a post on two different methods to creating a teaching portfolio: traditional and digital. In that post, I shared some of the pros and cons to each method and some tools you could use to help you create your own portfolio. If you missed that post, be sure to check it out by clicking here. In today’s post, I want to highlight some considerations when planning your portfolio and share some ideas about what you should include in your portfolio. If you are part of a pre-service teacher program or if you are applying for tenure in your school, there will likely be some specific standards or artifacts that will you will need to include. The formatting and organization of your portfolio may also be more prescribed in those cases, so be sure to follow whatever directions you’ve been given. My hope is that this list helps all teachers, regardless of your experience or position, to think more broadly about your work as an educator and that it gives you some specific ideas about how to capture and share that work with others. A well-designed teacher portfolio can be a great resource when it comes time to interviewing for a new position and it can also serve as a tool for guiding your own professional development. Resume – One of the most straightforward items you’ll want to include is your resume or curriculum vitae. This is a place to list some of the basics about your education and work experience, along with awards, honors, publications and presentations. Although a standard resume doesn’t typically include a many details about your teaching experiences, you may want to consider expanding yours for your portfolio to provide a more complete picture of the different classes and schools you’ve worked with. Teaching Philosophy – For many new teachers, writing a personal philosophy of teaching is a required part of working towards your initial licensure. In fact, for those of you who are preservice teachers, your teaching philosophy is probably still sitting somewhere in your Dropbox. A philosophy of teaching is a great way to share your personal thoughts and beliefs about education. For those of you who have been teaching a while, I encourage you to spend time reflecting on how your own mission and vision for education has changed over the years and then capture those thoughts in writing. Professional Learning – Most teacher evaluation systems include ongoing profession learning as a critical component, but it can be one of the most challenging to measure. As you continue developing as an educator, be sure to save records of the work that you’ve accomplished, including transcripts of classes you’ve taken after graduation, certificates of continue education (CEUs) from seminars and conferences, your annual professional development plans, and perhaps even a book log of professional readings you’ve learned from over the years. Lesson Plans – As teachers, we all know that lessons don’t always go as planned, but that it is absolutely essential to have a plan. Being intentional about your instruction allows you to maximize opportunities for student learning and it allows you to structure lesson activities in a way that is developmentally appropriate and culturally responsive. Including lesson plans in your portfolio will allow you to demonstrate how you incorporate standards, plan for differentiation and use assessment data to guide instruction. In addition to standalone lesson plans, you will also want to include unit plans or yearly syllabi to show how your work connects to the bigger picture. Student Growth Data – It’s clear that ‘data’ plays an important role in education today. Although there may be disagreements about what data should be collected and how, I think most teachers would agree that it is important to measure student learning so that we can see if our instruction is effective, and if not, how we can change. Regardless of your grade level or subject area, you can always collect baseline data and samples of student work. These data and samples, in combination with data collected after instruction, can serve as the way to measure and report student growth. Student Work – Numbers and grades can only do so much in communicating student learning. Student work samples can create a much more holistic view of student learning. Making copies of student work or asking students to keep some of their work as an example is a great way to build a library of exemplars that can be used not only to strengthen your portfolio, but also to support continued student learning in future years. In addition to student work, it would also be great to present some of the feedback you have given to students to support their learning. To be clear, feedback is not a number or a letter grade or a vague remark like ‘Excellent Work’. We know that effective feedback can play a significant role in student learning, so be sure to save some examples of specific, authentic feedback given to students. Student Engagement – In addition to data on student growth and examples of student work in class, it’s a good idea to capture feedback from students on their engagement in class. Many schools today use student surveys to gather information about how engaged students feel in your class. If your school doesn’t use student surveys or if you have questions of your own you’d like student input on, administering a quick student survey can help you celebrate what’s working well and come up with a plan for what isn’t. This can also be a great place to save and share other notes from students as well. Family Engagement – Communicating with parents is an important part of a teacher’s job, so it’s a good idea to dedicate some space to family engagement in your portfolio. As artifacts for this section, you may want to consider classroom newsletters, examples of family communication logs and any family surveys that you have sent out for feedback. In some districts, family surveys are a required part of the job. If you’ve never given a family survey before, I encourage you to do so. The feedback that you get from parents can help you make necessary improvements to your own family engagement plans. Observations – Documentation of observations, both formal and informal, can help to demonstrate your growth as an educator, especially when paired with thoughtful reflections. Observation records provide an outsider’s look at what’s going on in your classroom, along with evidence of strengths and areas that could be improved. No teacher is perfect, so don’t be afraid to share observations that show room for growth, especially when you can demonstrate through reflection and professional learning how you have continued to advance your growth towards becoming a well-rounded educator. References – Keep a list of references, with updated contact information and any letters of recommendation they have written for you. Much like formal observation records, these letters of reference can provide an outside look at what makes you successful and unique as a teacher. Grants – If you’ve explored my blog a bit, you’ll know that I’m a big fan of grants. They have helped me bring cool new ideas into my classroom and they have given me the support to continue developing as a teacher. If you’re as passionate about grant work as I am, you’ll definitely want to include some examples of grant work, including your successfully funded proposals, project descriptions and any deliverables that you’ve produced as a part of that work. School Involvement – Your portfolio should also include information about how you are involved in the school beyond your classroom. Do you serve on any committees? Do you coach or advise any after school programs or extracurriculars? There are countless ways that you can support the work of your school outside of your classroom, from volunteering for special events to leading teacher teams to attending student games and performances. Your involvement can help you develop stronger relationships with your students and families as well as with your colleagues and administrators. Community Involvement – Be sure to keep a list of the volunteer work you do in the community as well. Are you involved in any organizations outside of school? Do you participate in community events? Your community involvement can also be a great way to build relationships with your students and families. Technology Integration – As our schools and classrooms continue to integrate more and more technology, your portfolio can be a great place to showcase some of the work you’ve done in this area. Try to expand beyond just a boilerplate list of software programs and proficiencies. Links or screenshots of digital resources you’ve used to support learning (i.e. self-created Quizlets or Kahoots), examples of technology that transformed student demonstrations of knowledge, and copies of digital assessments can all provide strong evidence of technology integration. Visuals – Having some pictures of videos included in your portfolio can really help it come alive. You’ll want to keep a camera handy to capture pictures of what learning looks like in your classroom. If you’re working with a paper portfolio, considering including links to online photo albums or videos. Your pictures can include everything from candid action shots to special events like field trips to quick snapshots of your favorite bulletin boards or student assignments. As you put your portfolio together, there are a few other considerations you may want to make. First, think of the organization of the portfolio itself. How do you want to arrange your artifacts so that it makes sense to the viewer? Adding a cover, a table of contents and section dividers can help to make your portfolio professional. The most effective portfolios are those that are constructed thoughtfully and intentionally. To make sure that you are constructing your portfolio with intention, you may want to add an explanation or rationale for each item. Adding some reflective captions or commentary on each artifact will also make it more evident to your viewers how each artifact reflects your knowledge and skills as a teacher. Finally, don’t be afraid to collaborate. Even though creating a portfolio is a personal endeavor, our work as teachers is uniquely situated within a community of practice. Be sure to ask a colleague or mentor to look over your portfolio with you to see if it captures your strengths as an educator. Is there anything else you think should be added to a teaching portfolio? Leave your thoughts and comments below. 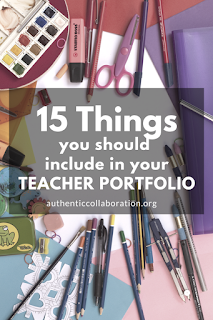 And don’t forget – just like an artist’s portfolio, a teaching portfolio should be a dynamic collection. As you develop as an educator, your portfolio should develop with you. I’ve been fortunate to have the opportunity to travel, study, live and work in a number of different countries, including Scotland, Jamaica, Mexico, Chile, Honduras, Lebanon and Afghanistan. 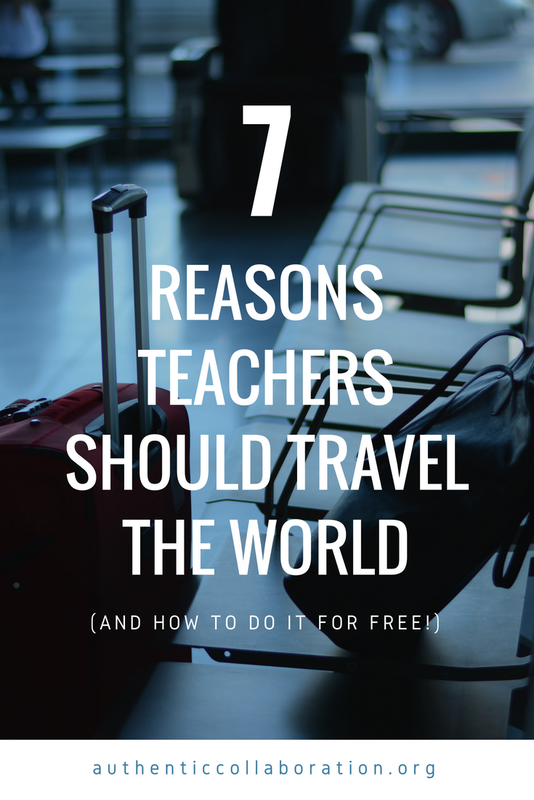 And with each of these opportunities, I have realized how valuable travelling the world can be and how much it has impacted my practice as a teacher. I wanted to write this post to share some of my own experiences around the world and to encourage other teachers to seek out opportunities to travel abroad. I can almost hear some of you already, “But what about the cost!” Believe me. I’ve been there. I hate shopping without coupons and I know what it’s like to scour the clearance bins at Target for even the most basic classroom materials. The good news is that if you’re willing to put in a little bit of work, there are fellowships and grant opportunities that will help you cover some (if not all!) of your travel costs. Be sure to visit my Grants page for more details about how you can find funding to support your travel. 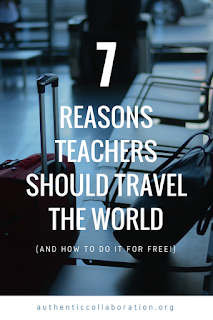 So, without further ado, here are seven important reasons why I believe teachers should take time to travel the world. Build Cultural Awareness - Travelling abroad can open new windows into language, religion, family and society. Our world is increasingly connected. This global diversity makes it increasingly important to build an awareness of the many ways in which our lives can be different and an understanding that those differences are not ‘weird’ or ‘wrong’ but something to be celebrated and shared. By learning about cultural practices around the world you will be better prepared to build cultural awareness in your own classroom, not through tokenism and standalone monthly bulletin boards, but through a richly integrated and highly personal approach to education. Develop Empathy – Although travelling to a new country for a week or a month is not enough time to deeply understand the history, culture, and struggles of a particular place, it can give you a powerful glimpse into lifestyles that are drastically different from your own. Living in the United States has undeniable privileges, especially for those groups of people who have historically been the agents of systematic oppression and marginalization, myself included. Being able to recognize and understand life experiences outside your own will help you to develop greater empathy and appreciation for the lived experiences, strengths and struggles of your students and families. Enhance Creativity – Think about some of the most creative people you know. Chances are, they are not the type of people who like to play it safe. Some of the most creative individuals I know are risk takers. They push boundaries and they aren’t afraid to fail. They soak in everything around them and translate it into something new through art, music, language, food or fashion. Traveling will force you to push boundaries. It will push you outside your comfort zone and give you an opportunity to surround yourself with new and different ideas every day. What you do with those ideas is entirely up to you! Enrich the Classroom – One of my goals for all my students, regardless of age, is that they would leave my classroom with a better understanding of the world around them. We need students who are not just tolerant of differences, but willing to celebrate what makes them unique and passionate about addressing the problems in our world by actively seeking out diverse perspectives. Travelling the world can give you new stories and ideas to bring back into your classroom. I fully believe that globally-minded educators will help to raise a generation of globally-minded students and much-needed global leaders. Learn a Language – There are literally thousands of languages in the world. Even though it’s not possible to learn them all (I wish! ), it is never too late to start learning another language. Even learning a few words and phrases can go a long way in building relationships in a new country. As an added bonus, stretching yourself linguistically can help you connect with the multilingual learners in your own classroom. Learning a language through intentional immersion is one of the best ways to develop your skills, but it can also be exhausting. You will learn the importance of visuals and scaffolded input and you’ll be able to explore some of the unique connections between language and identity. Problem Solving Skills – If you’ve travelled overseas before, you’ll know that sometimes things just don’t go as planned. There’s a lot that can go wrong when you run into differences in language and culture. Travelling will force you to solve problems that you never knew existed. Teachers are great at monitoring and adjusting and that flexibility can go a long way while travelling. By finding ways to keep moving forward you will be continuing to enhance not only your situational awareness, but also your ability to adapt and make changes on the fly. And sometimes, the problems you run into overseas can help you put some of your own problems at home into perspective. Renew Your Spirit - Teaching is tough work. There has been a lot of talk lately in education circles about the importance of self-care. As educators, we are constantly taking care of others. The students in our class have been entrusted to our care and at times, that can be a heavy responsibility. It’s important to remember to take care of ourselves. As difficult as it may be to step outside what is known and comfortable, travelling can be good for the soul. Exploring the world outside your own can be an opportunity to reflect on where you’ve come from, where you are and where you would like to be. Do you have any great teacher travel stories? Share your thoughts in the comments below. If you haven’t taken time to travel to another city, state or country recently – I encourage you to go! Traveling can make a world of difference. Do it for your students. Do it for yourself. Go explore! For the last month, I have been stationed at a NATO base in Kabul. There may be changes down the road as our education program expands, but I have been happy to be settled here for a while. The base itself seems to be run primarily by Turkish forces, along with British and US forces as well. I'm getting much better at identifying the uniforms of each of the different NATO nations. There are soldiers here from Australia, Germany, Slovakia, Macedonia, Denmark, France, Norway, Ukraine and many more. 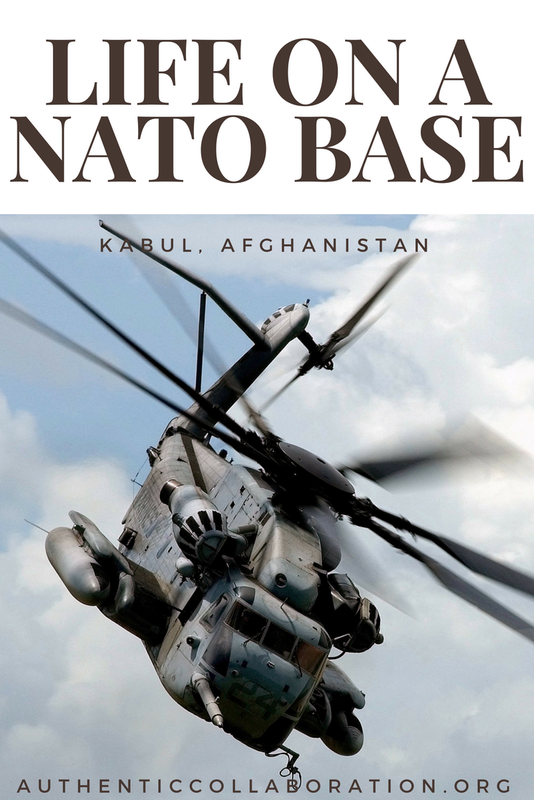 There are also several non-NATO nations that are also here in partnership with Resolute Support. There are contingencies of Georgian and Mongolian soldiers and I'm sure there are even more nations that I haven't met yet. There are two Dfacs (dining facilities) on base. One is an American one and the other is Turkish. I've been eating at the Turkish Dfac most recently because I find the food much more flavorful. If I ever get tired of eating at the Dfac, there are a couple of restaurants on base that I can try out, including several coffee shops, a Lebanese restaurant, a Thai place, a Mexican café, a Pizza Hut and a Burger King. There's also a small PX that sells some basic snacks, along with a small number of toiletries and household items. There are a variety of housing facilities on base, ranging from basic tents to two-story brick buildings. 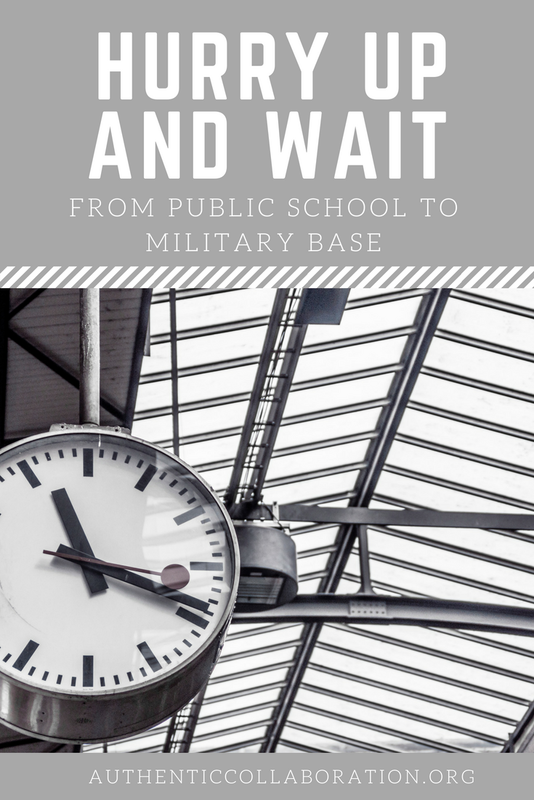 Your housing assignment depends in part on how long you will be staying on base. Generally speaking, the transient accommodations are not quite as comfortable as the long-term assignments. I'm currently housed in one of the nicer, brick buildings on base. Our rooms are about the size of your average shipping container, shared with one roommate. Almost everyone here has at least one roommate or more. There is a full service laundry facility that will wash and dry your clothes along with a self-service laundromat if you're interested in washing your own. Many of the larger countries have a space for soldiers to gather and relax - for the US soldiers, there is the USO with a bunch of movies, video games, board games and American snacks. There's also an MWA that is open to all with table tennis, foosball, pool and a mini-internet café. There's also a community center that hosts religious gatherings (along with the occasional movie night) and a beautiful mosque on base as well. When I'm not teaching, I usually spend my time reading or hitting up the gym. Given that the Dfacs are all-you-can-eat, I try to make it to the gym as often as I can. The gym is not so different from gyms stateside, except for the fact that it is housed in a couple of giant tents. The also have an informal gym set up next to one of the outdoor soccer fields. This outdoor workout space is affectionately known as the 'prison yard' and seems to be best suited to those who are really into Crossfit and enjoy throwing big tires around. I'll probably stick with the tent gym. I'm getting used to the constant whir of helicopter blades and the occasional rumble of MRAPs. I've never been to the UN before, but I imagine it might feel somewhat like life on a NATO base, apart from the military overtures, of course. I enjoy being surrounded by dozens of languages and cultures every day. There are so many opportunities to learn and I look forward to taking advantage of them in the months to come! 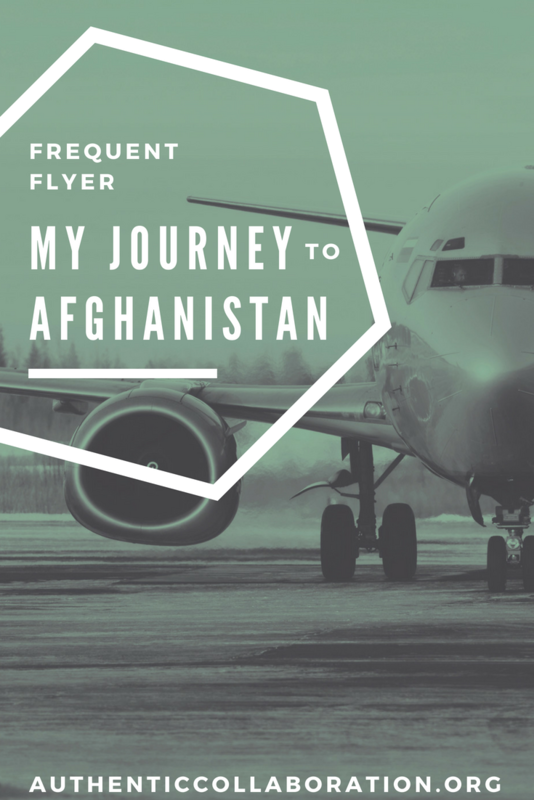 Traveling to Afghanistan has been an experience in and of itself. It took about five full days (and five different flights) for me to get from Fort Bliss, Texas to my new home in Kabul, Afghanistan. It all started with a chartered military flight out of Texas. Our baggage was weighed and our motley crew of contractors and service members were loaded into a traditional, chartered airliner. We stopped over in New Hampshire to refuel and then again at an airbase in Germany. In each of these pit stops, we were shepherded off the plane into a holding area for several hours and then given instructions to board again for the next leg of the journey. Eventually, we made it to Kuwait - with the time change we seemed to lose a whole day in the process. Kuwait is somewhat of a staging ground for the whole CENTCOM region. Some of the contractors and service members in our group would be staying at one of the bases in Kuwait, while others were headed to Qatar, Djibouti, Iraq or Afghanistan. Those with a final destination outside of Kuwait were given transient accommodations and instructions for our next flight. I ended up spending a couple of days in Kuwait. Although it was hot and dry, I didn't mind having a couple of days to get my feet on the ground before traveling again. The women's transient barracks were also not nearly as harsh as the men's. The women's barracks were divided into several rooms with ten to twelve bunks in a room. In contrast, the men's barracks were entirely open, with over a hundred bunks crowded into a single hall. After a couple days, our flight to Afghanistan was ready. There would be no more chartered airliners from here on out. From Kuwait to Bagram we rode on a C17. Our baggage was palleted and loaded up a ramp from the rear of the plane. As passengers, we rode in flight seats that ran up and down the sides of the plane. The plane itself was quite loud and most of us wore earplugs for the duration of the flight. On the plus side, once we hit cruising altitude, we were able to get out of our seats and 'move about the cabin'. For most people, this meant finding a place to lie down on the floor of the plane to catch a few more hours of sleep. We finally arrived in Bagram just before midnight. After security briefings, I was lucky enough to find some transient billeting to catch a few more hours of sleep and a midnight DFAC (dining facility) to grab a few quick bites. In the morning, I signed up for the next available space on a flight into Kabul. And then I waited. The weather in Bagram was much colder (and rainier!) than I expected. Because of the weather conditions, the first few flights of the day were all delayed. And so we waited. Eventually, the weather cleared enough for our flight to take off. For the final leg of my journey, I would be riding in a Chinook helicopter. I once again donned my ear plugs, along with my armored vest, helmet and eye protection. The flight itself was relatively quick, but the brevity did little to assuage the trepidation of taking a rotary flight through a conflict zone. After what seemed like an hour - but was really only about ten minutes - our flight touched down at the airport in Kabul. It's been great to be able to fully unpack some of my belongings and settle in to a new routine. I'm excited to begin teaching and to get to know my students, my colleagues and hopefully some of the other soldiers, contractors and civilians that call Kabul home. 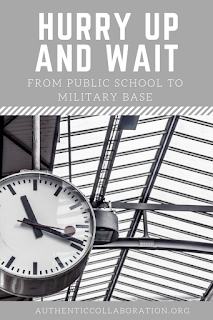 Several people have asked me what it is like transitioning from teaching in a public school to contracting on a military base. The truth is that it has been a long and sometimes frustrating process, but it has also been full of opportunities for growth and self-reflection. I came across the opportunity to teach in Afghanistan several months ago and began the arduous process of medical and background clearance. It took several months before I was able to receive final approval and set a start date. After leaving Minnesota, my first step was to attend training and onboarding in Orlando, FL. The training sessions included information about personal protective equipment, NATO security briefings and a host of other standard business trainings. Once onboarding was complete, I headed to Fort Bliss in El Paso, Texas to be processed through the CONUS Replacement Center. As someone who has never been in the military before, training at Fort Bliss was certainly a learning experience. I learned quickly how to fall in line to military formations. There was another whole set of theater specific training requirements, including information on antiterrorism and counterinsurgency, as well as sessions on threat awareness and non-lethal weapons. We also had to go through a final medical screening, which tested the patience of just about everyone on site. The process involved a lot of waiting, moving seats, waiting again, and then tracking down the next medical check on the list. The labyrinthine process was aided by color coded tape and hallway guides - follow the blue tape to vision, the white tape to audiology, the brown for immunizations, and so on. I ended up needing to get a couple extra immunizations in both Orlando and El Paso. Some were standard; others, like Anthrax, were a bit more unique. Unrelated to the immunizations, I also picked up a softball-sized bruise on my right arm, along with a few smaller bruises, bumps and scrapes up and down my forearms and shins. All courtesy of what was one of the most intense training sessions of CRC: rollover training. Now, when I saw rollover training on the weekly schedule, I have to admit that my mind went straight to 401K rollovers, and I assumed that we would be learning about some mundane financial practices. Turns out that rollover training involves gearing up inside a giant MRAP (sort of like a Humvee) and going through a simulated rollover experience. We ended up needed to egress upside down, and let's just say that I am not as graceful as I would like to be when it comes to exiting a vehicle in more than 30lbs of body armor. The first two weeks of training have reminded me that the qualities and characteristics one develops as a teacher can be useful across a wide variety of life experiences. The ability to build relationships with others and be patient under stress certainly helped me make it through training without too many complications. With the last few trainings under my belt, I boarded a chartered military flight with a couple hundred other contractors and soldiers and began the journey to my final destination - Afghanistan. In just a few days, I will be beginning a new adventure in education - one that is taking me halfway around the world. While I am excited beyond words to embark on this new journey, this transition is also bittersweet. I am leaving behind the students I have grown to love and the colleagues I have come to trust and admire. I have also had to say goodbye to family and friends. For the last four years, I have thoroughly enjoyed teaching high school in South Minneapolis. I love the quirky inside jokes that teenagers make, the heartfelt conversations about real life and the moments of enlightenment that make even the hardest days worth it. I appreciate the relationships I have built with colleagues that helped to keep me grounded and inspired me to push the boundaries of education in our schools today. 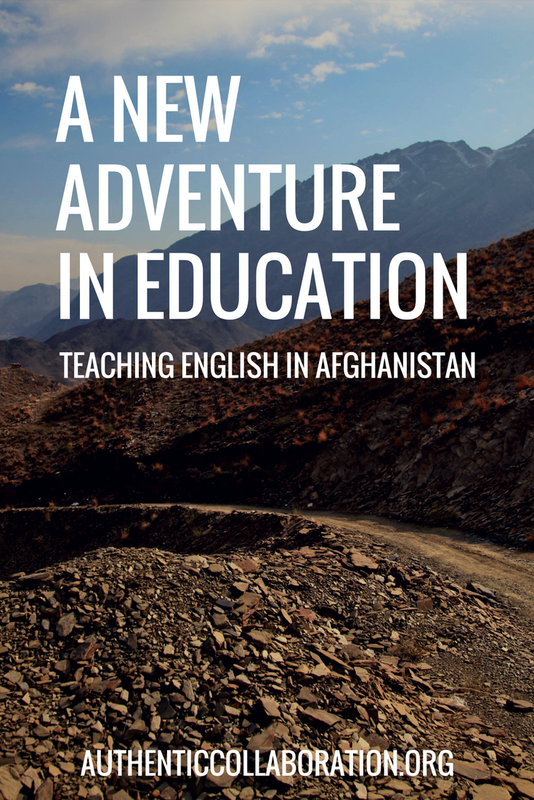 In my new role, I will be working as an English Language Instructor for Afghan women. After years of civil unrest, Afghan women have some of the highest rates of illiteracy in the world. I am unbelievably privileged to be offered a role in their education because I understand the significance of women's education on a global scale. According to UNESCO, two-thirds of the world's illiterate adults are women. The Kabul office of UNESCO reports that the literacy rate for women in Afghanistan averages around 17 percent. Teaching outside of my comfort-zone is nothing new, yet this time it feels different. I'm not quite sure what I'll be walking into, and I suppose that is part of the excitement. I know I'll be stationed on a military base and teaching out of a nearby school, and I am confident that the knowledge and skills I have gained over my professional career will help guide me to make meaningful contributions in this work. As I finish packing my bags and begin the multi-flight journey overseas, I want to extend my profound gratitude and appreciation to you all, my fellow educators and friends, for your encouragement, support and collaboration. 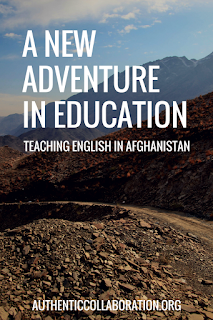 If you're interested in learning more about education in Afghanistan, check back soon for my next update! This past week I had the privilege of attending the 2nd Annual Social Emotional Learning (SEL) Convening hosted by Education First and NoVo Foundation in Santa Ana Pueblo, New Mexico. There was so much that I appreciated about this conference, especially the opportunity to connect and learn from educators from all across the country. I heard inspiring stories about how teachers are engaging their students and colleagues in SEL work and I walked away with many different strategies for advancing SEL in my own classroom and throughout my school. First, I need to take better care of myself. Many of the weekend activities centered on modeling practices that could be used with students and staff. These practices go beyond the traditional 'one and done' approach to professional learning by creating an environment that values authentic expression and communication. It became clear through these activities that we as teachers often forget to take care of ourselves. With everything on our plates, self-care can be easily pushed aside. Conference sessions reaffirmed the importance of being kind to myself so that I can continue being my best self with my students and colleagues. Second, I need to teach my students to love themselves. All of our students have assets to share. We need to invite student stories and celebrate their uniqueness. One of the EdTalks, led by Teacher Prize Finalist Alhassan Susso, illustrated this through his own work with student affirmations. By affirming students as capable learners and leaders he is able to rewrite the negative self-talk that can be consuming for adolescents. My grant project, funded through NoVo, is also focused on elevating student voice through story and I am looking forward to continuing this work with my students. Finally, I need to give students space to love each other. It's time to move beyond 'inclusive' classrooms to classrooms that are truly welcoming and affirming. At the convening we discussed how kindness is about more than just 'being nice'. Kindness is intentional and it involves self-awareness as much as it does social awareness. Do students feel cared for by one another in the classroom? It is an important question to ask and one that I plan on evaluating in more detail in the next quarter. As our first quarter draws to a close, I need to go back to the drawing board to identify more meaningful community building activities and strategies for my students. As the conference wrapped up, I felt excited and energized by all that I had learned. 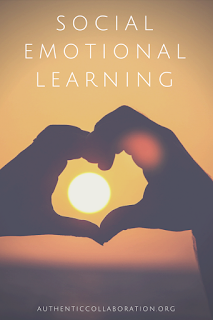 I'm now looking forward to finding new ways to support student learning more holistically and creating safe places for students and adults to share their emotions and connect more authentically with one another. 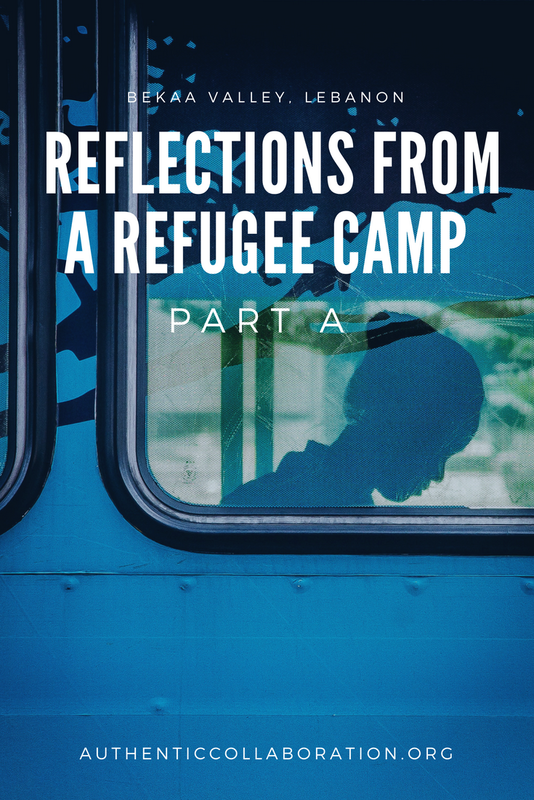 When I think back on the past month, it is hard for me to put into words exactly what the experience of teaching in a refugee camp has meant for me. There is so much I have learned and so many memories I will be taking with me. I have learned a great deal more about human capacity, the impact of collaboration and the power of dreams. Some memories of my time in Lebanon fill me with immense joy, while others bring an almost immeasurable sadness. I am grateful to the staff and other volunteers at Jusoor who provided support and encouragement throughout my time there. The Lebanese and Syrians I met over the last month have taught me so much about human resiliency, courage and capacity. The capacity to learn and grow is evident in schools and camps all over Lebanon. There is a curiosity for learning that shows up through many lenses and in many ways. 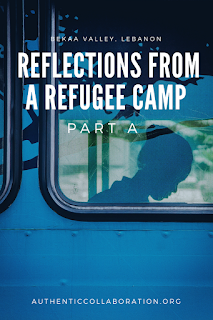 The heartbreaking truth of refugee camps, though, is that in spite of individual courage and commitment, the dehumanizing process of displacement can strip away much-needed opportunities for growth. The longer we let millions of people languish in refugee camps, the more we lose out on a collective of wisdom and capital that cannot be replaced. The work I was able to do was only made possible because a group of like-minded individuals came together with a desire to do more for the children of Syria. We could talk in circles about the need for better policies, infrastructures and systems solutions, but at the end of the day, information and intention alone cannot affect change. Only actions can do that. And the team at Jusoor has worked tirelessly to build a much-needed foundation of support and action for refugee youth, one that can serve to be scaled and replicated across Lebanon. This experience has reminded me of just how powerful collaboration can be when people come together to share their time, energy and expertise. Finally, my students taught me every day about the power of dreams. As part of one of our peacebuilding activities, my students worked collectively to create a tree of dreams. 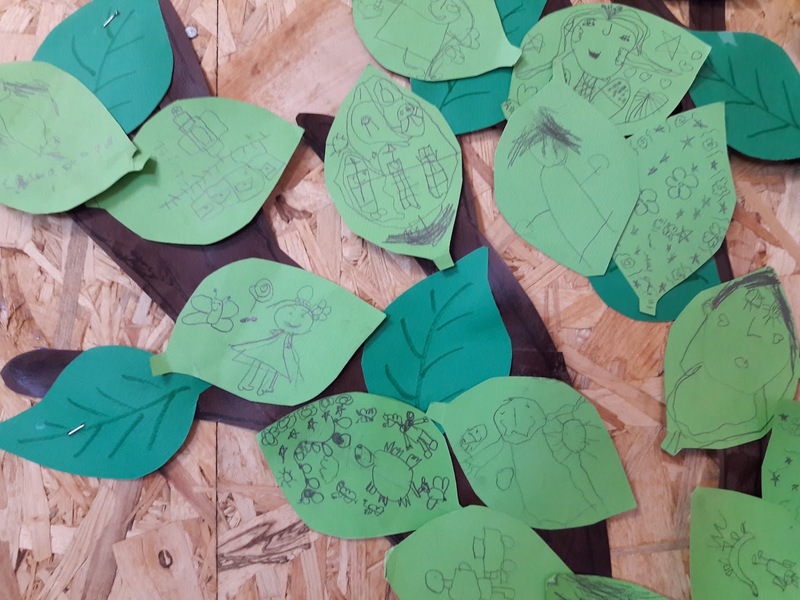 Each student received a leaf and drew a picture of a dream or goal on their leaf. Then, one-by-one, they shared their dream with the class and we pasted it onto our tree of dreams. Although there was a language barrier between my students and me, it was incredible to see the way in which their eyes lighted up and their smiles widened. Some students dreamt of being lions or butterflies. Other had dreams of being teachers or doctors. One girl dreamed of a day when she could once again sit in a garden next to her home. For the children of Syria, I wish all this and so much more. Much more needs to be done internationally to ensure that students’ right to education is realized around the world. The children of this world have incredible dreams, and I believe we have the resources to accomplish these dreams if we can commit to acting together. If you have questions or want to know more about getting involved with refugee and emergency education, please let me know. You can read more about Jusoor’s work here. The last two weeks have been a whirlwind of emotion and energy. I arrived in Lebanon earlier this month as a volunteer with Jusoor's Summer Education Program. Jusoor Syria is a non-profit dedicated to empowering Syrian youth through education and entrepreneurship. While the ongoing conflict in Syria has displaced millions of Syrians to countries all around the world, Lebanon is home to over one million Syrian refugees, the highest per capita of any nation. Jusoor has several programs within Lebanon, all designed to provide much needed educational opportunities to displaced Syrian families. I chose to volunteer with Jusoor because I was impressed by the organization's overall focus on sustainability. There are currently three Jusoor schools in Lebanon, one in Beirut and two in the Bekaa Valley. These schools help prepare Syrian students, many of whom have had their education interrupted, for Lebanese schools. The language of instruction in most Lebanese schools is English or French, so the Jusoor schools also help by developing students' English language skills. 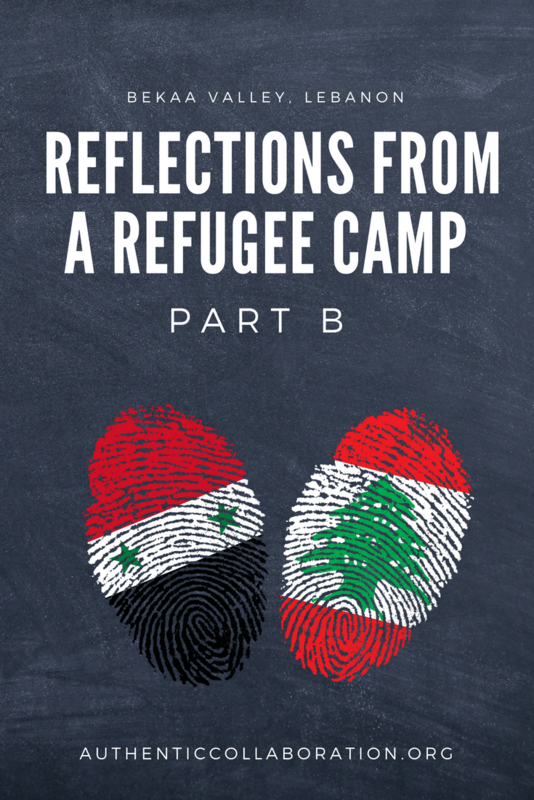 As an English Language (EL) teacher, many of the students in my classes during the regular school year are first or second generation immigrants, including some who have been displaced by conflict, some who have endured the hardships of refugee camps and others who have had their own educational experiences interrupted. My volunteer work with Jusoor began during our initial orientation. During that time, I led a training session on teaching with English as a foreign language for the other Jusoor volunteers who hailed from countries around the world including the US, the UK, Germany, Italy, Portugal, Switzerland, Colombia, Syria and Saudi Arabia. Together we talked about the importance of creating safe learning environments, encouraging students to take risks with language development, and supporting language input across multiple modalities. Summer classes began this past week and to say it has been a humbling experience would be an understatement. 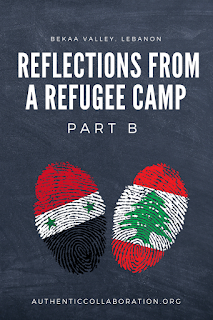 I was placed at the Jarahieh school, on the edge of a refugee camp. On any given day, I have more than thirty students in my class, many of whom have never been to school before. We spend each day doing peacebuilding work, science experiments and arts and crafts projects. We practice sharing and taking turns and writing our names. I am in awe of the resilience of these students. Their excitement for learning makes it easy to forget that many have experienced far more in the last few years than any child should have to experience. My heart breaks for each of the horrors of war and displacement these children have had to endure, and I am reminded everyday of the value and importance of the work we are doing. I am honored to be volunteering with Jusoor, and I am excited to continuing learning and growing alongside my students for the next two weeks. The work Jusoor does on a daily basis is improving the lives of thousands of Syrian youth and their families. The Jusoor staff here in Lebanon impress me every day with their commitment to ensuring that this generation of Syrians will not be forgotten. As I reflect on the past year, I am so immensely grateful that I had the opportunity to be a part of the first-ever cohort of ASCD Teacher Impact Grantees. To read more about my experiences with ASCD TIG, take a look at the grant press release and my experiences inside the Department of Education and at the ASCD Empower 2017 Conference. There are many lessons I have learned through this process, most notably what it takes to be a leader, the far-reaching benefits of collaboration and the multiplying effects of empowering teachers. Through the implementation of this grant it became clear that leadership is about more than just a position. Receiving the ASCD Teacher Impact Grant did not change my position in the school building, but it did provide me with opportunities to learn about leadership as a teacher. The challenges of leading as a teacher became clear even before the grant work got off the ground. Navigating school policies and procedures and then communicating those policies to participating teachers helped me to understand the value of clear communication. I learned how to better communicate my goals and structure a narrative that earns the support of both teachers and administrators. Negotiating these challenges helped me to better appreciate the rewards. For me, those rewards come in the form of heartfelt gratitude from teachers who truly felt more supported in doing their jobs. 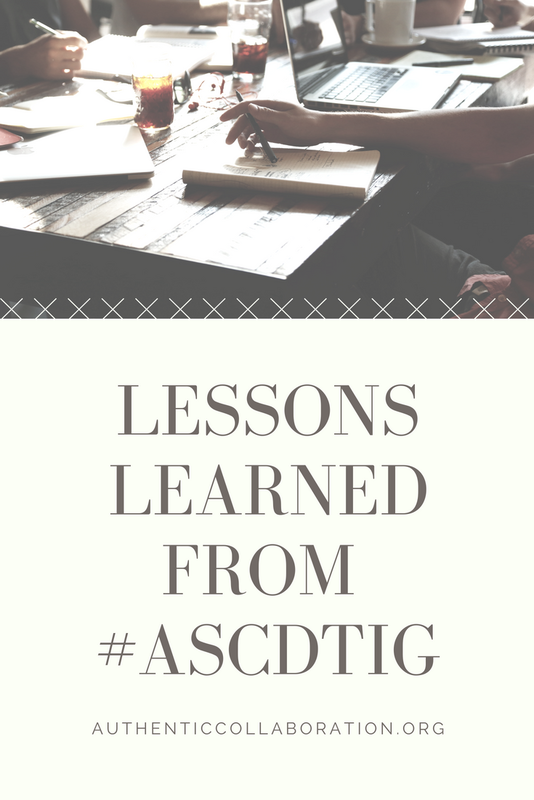 Being part of ASCD TIG has opened many doors to collaboration, both locally and nationally. 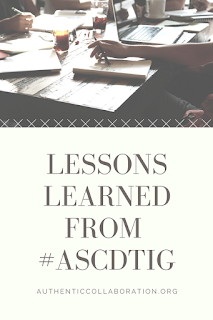 Locally, the funds provided through ASCD TIG have allowed participating teachers to attend conferences together, spend time reflecting on their co-teaching partnerships and participate in peer observations. The feedback I received from teachers demonstrate the need for teacher collaboration time. Being able to collaborate directly with other teachers gave grant participants an opportunity to see new ideas and strategies in action and then take those strategies right back to their own classrooms. Nationally, I have been able to connect and collaborate with colleagues all across the country. To say that I have been inspired by their projects and efforts in education would be an understatement. Finally, experiences with this grant have had a multiplying effect on teacher empowerment. With the support from ASCD and collaboration with administrators and colleagues, I have felt empowered in my role as a teacher. I know that ASCD TIG projects are making a difference in schools around our nation. In our school, ASCD TIG has demonstrated the value of teacher collaboration. Our project started with a single idea - an idea to create more inclusive classrooms and enhance the learning environment for all student by fully supporting teachers. The teachers who participated in this project were able to take ideas back into their own classroom, enhancing the educational experiences of hundreds of students. Teacher-led initiatives are empowering because they can and do have a direct effect on student learning. If you are interested in learning more about the ASCD Teacher Impact Grants or how you can learn more about advancing professional learning in your own education community, check out http://www.ascd.org/programs/teacher-impact-grants.aspx. This week I had the opportunity to attend a seminar by Rick Wormeli on Standards-Based Grading and Assessment. This topic is one that I have been thinking about a lot as I work to make my classroom more student-centered and to create more authentic assessments of student learning. There were many salient points discussed during the seminar about the purpose of grading, assessment, and standards. Following are some of the ideas which have stretched my own thinking around these topics. There is a difference between the public curriculum and the hidden curriculum of schools. The public curriculum includes the state-mandated content standards. The hidden curriculum includes all of the other non-academic factors that are sometimes included within grades. With standards-based grading, non-academic factors like attendance, behavior and effort should not be included in academic grades. The 'hidden curriculum' can be its own category on a report card, but it should not be used to inflate or deflate an accurate representation of student learning. Standards are great - Standardization is not. Standards are a wide-ranging collection of skills and knowledge that are important for a well-rounded education. Being good at standardized tests, however, does not equal the ability to make creative contributions to society. For my own courses, I need to determine what my power standards and what evidence can be used to demonstrate progress and proficiency towards the standards. I also need to find ways to move away from standardization towards greater differentiation in process and product. Grades are communication, not compensation. Grades need to be an accurate report of what was learned, not what was done. Doing and learning are two different things. A student can be compliant in completing an assignment without actually learning the material being covered. Standards-based assessments need to be designed and delivered to provide evidence of learning over time. 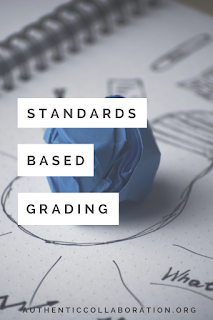 Standards-based grades are then a reflection of where a student's learning is at, whether they have demonstrated mastery or proficiency of a concept or whether their learning is still developing or not quite there yet. No one knows ahead of time how much time it takes someone to learn something. Unfortunately, the structure of most schools is predicated on just the opposite. This idea actually comes from Dr. Tae's thought-provoking TED Talk "Can Skateboarding Save Our Schools?". 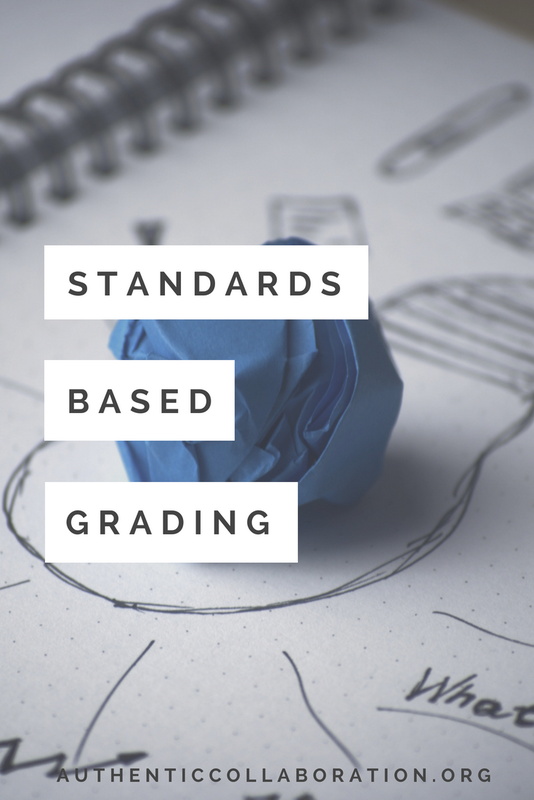 Deviating from the fixed schedule of traditional educational institutions is not easy, but standards-based grading looks beyond arbitrary school calendar dates to ensure learning is not artificially limited. As a result, redos and retakes are an essential part of the standards-based grading process. Feedback should be non-judgmental. When we look at what motivates student learning, it is clear from research shared at the seminar that low scores are not motivating for students, but authentic descriptive feedback is. Feedback needs to be given carefully. There should not be an evaluative component. Descriptive feedback talks about the decisions made and not the quality. With this idea, it is important to note that praise (in the form of "Excellent" and "Well Done") is a form of judgement, not feedback. As I move into the next school year, I am hoping to incorporate more of these concepts into my classroom. As my students graduate and move on to greater things, it is my goal that students would view failure as a necessary and normal part of life and that they would see a world of questions, and not finite answers. As Wormeli said during the seminar, the goal of teaching should not be that my students become as proficient as me, but that my students should surpass me.